Die Fotos wurden von mir zum Teil aufgehellt, damit man die Details besser sehen kann, im Original ist die Farbe anders, Farben sind schwer zu fotografieren, daher Farbe anders als auf den Bildern. Und zum guten Schluß muss leider noch gesgt werden. 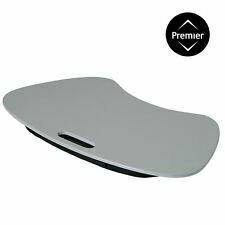 Stylish and practical design, the modern grey laptop tray is ideal for those who don't want to sit at a desk. 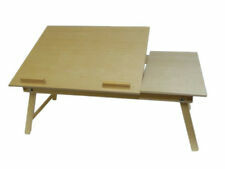 So get comfortable on a chair, sofa or bed and the practical laptop tray will give you a flat surface to work on. Comfortable use with padded rest. Extra large work space for use of mouse. Stylish Accessory. Wipe clean with a soft cloth. HDD CADDY & CONNECTOR. THIS ITEM IS A PULL FROM A WORKING LAPTOP. LAPTOP PARTS FOR SALE IN GOOD USED CONDITION. LAPTOP KEYBOARDS. LAPTOP MOTHERBOARDS. LAPTOP BATTERIES. LAPTOP SCREEN. HEATSINK & FAN. Dell Inspiron 1564 P08F. Laptop Hard Disk Drive HDD Caddy Tray. This is a used item so it may be dirty / very dirty / faded / yellow'ish / scratched / liquid marked / rusty and or have stickers / tape marks so it will not be in its original condition, if it's a multiple then the one photographed may not be the one you receive. Portable and adjustable regulated Laptop Holder/Stand with legs. Laptop Bed Stand With Legs. Wooden Laptop Holder Sand. Laptop spot size;. Table used for right handed people, as space for mouse is on the right hand side. A soft bean bag cushion will sink into your lap for stability. Helping you top see better is a flexible LED light that allows you to focus the light where you need it. 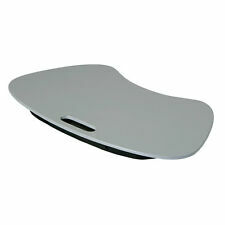 The top right of the lap desk is a small cup holder suitable for holding a small glass or water bottle. The Lap Desk / Tray with Light has enough room to rest an open book and take notes, or to hold your laptop without feeling the heat on the bottom. Get comfortable while your work, no matter where you are. Laptop Table Stand Desk Tray Cooling Holder Adjustable 360° Rotation Swivel Base. Utilize as a laptop stand to angle your laptop on your desk so that the monitor is adjusted to your needs, making your laptop as as a desktop. Style - LP26428. Lesser & pavey laptop tray. Colour - Light Green. soft bottom. CADDY RACK DE DISQUE DUR HP DV9000 DV6000. Numéro de pièce fabricant Non applicable. PLUS VOUS COMMANDEZ PLUS VOUS ECONOMISEZ. Caddy-Rack mit Festplatte für Dell D400. Stecker Ziele. Original DELL LATITUDE Hdd E6440 Tür Abdeckung Caddy CYP84 0CYP84. 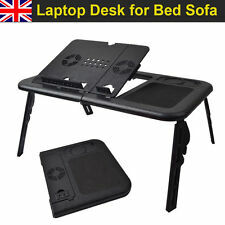 Portable Laptop Desk Adjustable Computer Table Bed Sofa Stand Tray USB Cool Fans. baby accessories. Car & Motor Accessories. Black Color. If you do not receive our reply within 48 hours, pls. Your recognition will encourage us greatly and serve you better. 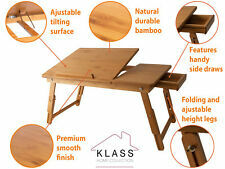 Foldable Lap Breakfast Table Stand. MULTIPLE USES - It acts as a multi functional laptop workstation, a standing desk for office work, a TV tray for snacking, a laptop bed stand for relaxing in bed, or a book/tablet stand. Beanbag Cushioned lapdesk ideal for craftwork, laptop use and writing. 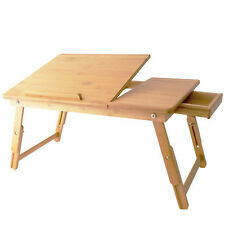 Cushioned Lapdesk,lap desk,Laptray, Lap tray, laptop tray or for craftwork use. 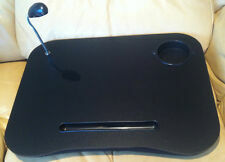 LAPTOP CUSHION PORTABLE READING DESK TRAY WITH 5 LED LIGHT & CUP HOLDER. MODERN PORTABLE LAPTOP CUSHION. 2" PADDED CUSHION FOR EXTRA COMFORT. WITH ADJUSTABLE LED LAMP AND CUP HOLDER. LIGHTWEIGHT AND PORTABLE. Laptop Table Stand Desk Tray Cooling Holder Adjustable 360° Rotation Swivel Bas. Condition is New. Dispatched with Royal Mail 2nd Class. MODERN PORTABLE LAPTOP CUSHION. 2" PADDED CUSHION FOR EXTRA COMFORT. WITH ADJUSTABLE LED LAMP AND CUP HOLDER. LIGHTWEIGHT AND PORTABLE. 5 LED ADJUSTABLE LAMP. GOOSE NECK FLEXIBLE 12" LAMP. Built-in cushion creates a comfortable stable base. Integrated LED light flexible to any position, plus a very useful built-in cup holder. 2" padded cushion for extra comfort. Lightweight & Portable. Utilize as a laptop stand to angle your laptop on your desk so that the monitor is adjusted to your needs. Adjustable angle, 10 to 16 degrees. Rotating holder. Making your laptop as as a desktop. Adjustable reading light. Recess for pens and cup. Brada laptop tray. Has a handle and a pocket for leads/ headphones etc. Multi Function Lapdesk Table Bed Tray Foldable Adjustable Breakfast Table Tilting Top with Storage Drawer Bamboo Wood Natural. l BUILT-TO-LAST: 100% natural bamboo, which is not only eco-friendly but also as durable as solid wood; specially constructed tabletop withstands heavy loads and will not wear out or deform. Utilize as a laptop stand to angle your laptop on your desk so that the monitor is adjusted to your needs, making your laptop as as a desktop. Adjustable angle, 10 to 16 degrees. Rotating holder. Compatible with all Laptop sizes. ALMBERGET 303.057.64. GRAB IT NOW AS IT IS NOT AVAILABLE AT IKEA ANYMORE. green, purple, orange and pink flip flop design. lap tray allows you to use your tablet or laptop without it slipping off or you having to hold it. IKEA BRADA LAPTOP SUPPORT TABLE/TRAY SOFA/BED LAPTOP BLACK. Wipe clean with a cloth dampened in a mild cleaner. Wipe dry with a clean cloth. Key features. Good to know. Weight: 0.69 kg. 1 x laptop Pillow. Soft and comfortable cloth cover. - with anti-slip baffle to protect your laptop. Material: wood cotton fabric. - with line hole for power cable. We will try our best to reduce the risk of the custom duties. This handy lap desk is contoured to fit snugly on your lap with its luxurious cushioned base and non-slip plastic surface. A flexible 5 LED lamp provides concentrated light just where you need it, with integral cup and pen holder. 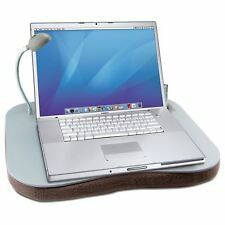 Cushioned Portable Laptop Tray Reading Table with Cup Holder & 5 LED Night Light. 2 " COMFORT CUSHION / SIZE : 33cm X 43CM. LIGHTWEIGHT AND PORTABLE. There is a drinks holder, LED light and it is perfect for working on the sofa!